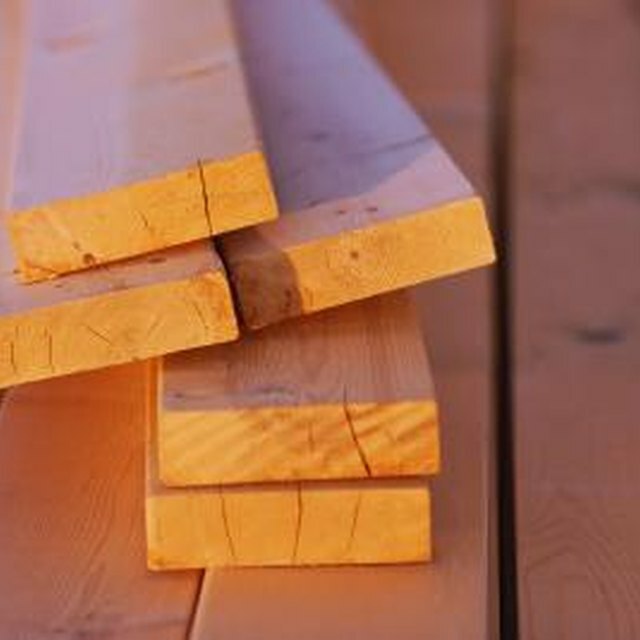 Drying wood at home for use in a fireplace or furnace does not have to be a complicated process. In fact, the simpler the better. Drying wood in a furnace takes a lot of resources, which include wood to heat the furnace as well as maintenance and cleaning of the kiln. Drying wood at home for use in a fireplace or furnace does not have to be a complicated process. In fact, the simpler the better. Drying wood in a furnace takes a lot of resources, which include wood to heat the furnace as well as maintenance and cleaning of the kiln. A better idea, and one that is more environmentally friendly, is to use a humidifier. This costs less than buying a new kiln and mat be more effective on a larger scale. Clear out an area in the basement or garage to use as a drying room for the wood. Remove all objects in this area. Line the floor with a moisture proof barrier, such as a plastic tarp. Set up a shelving area, using metal garage shelving, on the tarp. Collect and store the wood inside the room on the shelving. Lay the wood across the shelves exposing as much surface area on the wood as possible. Each piece should have at least 1/4 inch of space around it. If you have a large amount of wood to dry, stack the wood in such a way that air is able to pass between the stacked pieces. Seal off the drying room as best as possible by hanging additional plastic tarps around the wood and enclosing the humidifier. Also close the doors and windows and keep them closed. Set up a humidifier in the center of the room near the wood. Run the humidifier on its highest setting for three to five days. Check the wood after a few days and continue to dry as necessary. Excessively dry wood creates a fire hazard. This method removes enough moisture to increase inflammability. Care should be taken in storing the wood after it is dried. Never store wood near a furnace or open flames and do not store it near inflammable liquids. This increases your home's fire risk.